text marketing services is geared around the needs of our business customers. > Customers will see the signs and join. >Your customer list will continue to grow and grow. 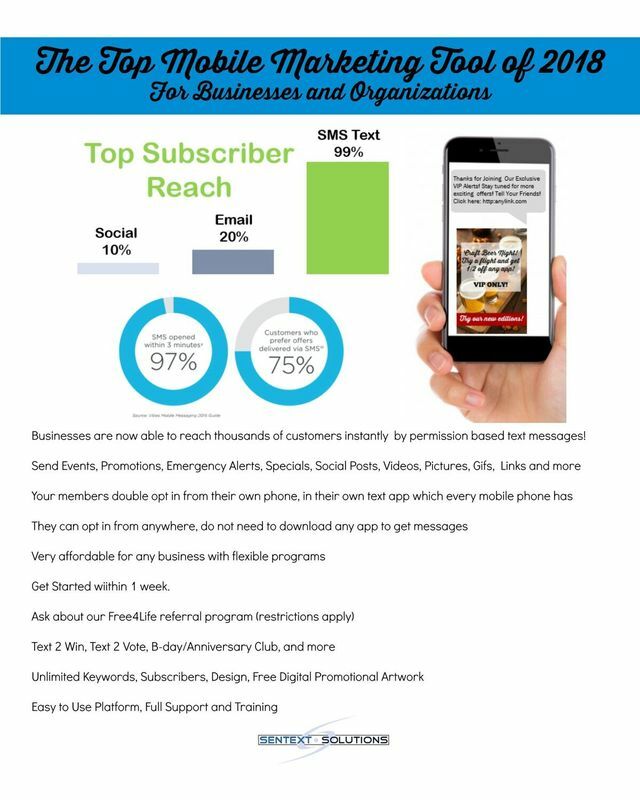 single text message for announcements, sales, specials and promotions! We provide you with support, materials and signage to help you build what could become the most valuable marketing asset for your organization! like a restaurant or bar, so that customers know how to sign up. throughout your business inviting customer to join. enormous advantage ​and variety of options in how to utilize your customer contact list. 98% of all text messages get read! You can be sure that your offers will be considered. Tap Into your Profit Centers Today!